FM200 (also known as HFC-227ea) has been used in gaseous fire suppression systems since the early 1990s. FM200 is ideal for use in applications such as data rooms, cabinets and electrical switch rooms as it is minimises damage to electrical equipment. It is also used to protect vaults/tape storage, marine machinery spaces, chemical storage and clean rooms, medical laboratories and emergency power facilities. FM200 is most effective when used to totally flood an enclosed area, in the event of a fire. FM200 is extremely efficient and cost effective and a relatively low volume of the agent is required to suppress a fire. However, the landscape for FM200 use is rapidly changing. Under the Australian Government’s Clean Energy Future Plan legislation, synthetic greenhouse gases (SGG) such as FM200 will have an Equivalent Carbon Price applied to them as legislated under the Ozone Protection and Synthetic Greenhouse Gas Management Act 1989 effective from 1 July 2012. This means that any FM200 imported into or manufactured in Australia after 1 July 2012 will have the Equivalent Carbon Price levy applied. Any installing, commissioning and decommissioning, or service technician who performs activities with a FM200 system that could accidentally discharge/release the gas MUST hold the appropriate Extinguishing Agent Handling Licence (EAHL) for the work being undertaken. A list of compliant service providers can be found at the Fire Protection Association of Australia website. Any discharge of the gas MUST be reported to the Fire Protection Industry (ODS & SGG) Board as soon as possible. A fact sheet regarding owner responsibilities can be found here. 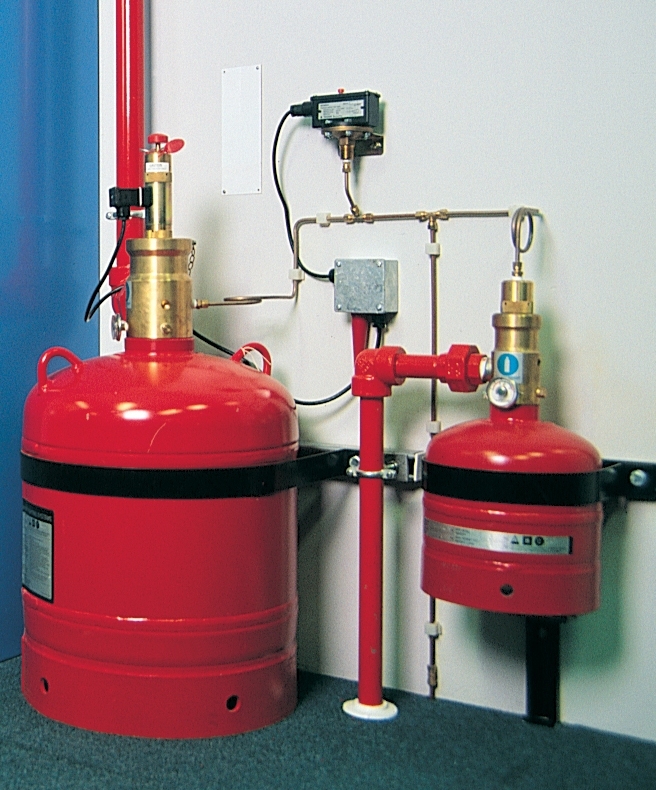 If you are looking to upgrade your gaseous fire suppression system away from an FM200 system, you may wish to consider some of the alternative options available such as Inergen® or Sapphire™ (Novec™ 1230™) These alternate gaseous suppression systems have their benefits, in addition to the fact that they are all non ozone depleting substances (ODS) and SGG agents and not subject to the Equivalent Carbon Price levy. Another thing to consider with the use of gaseous suppression systems is the room’s ability to hold gas for a sufficient period of time to effectively suppress the fire. In our experience, leaking rooms are commonplace and can render an expensive gaseous fire suppression system ineffective. Australian Standard AS1851-2005, Maintenance of fire protection systems and equipment recommends a fan integrity test be conducted annually. This will involve complex testing of the equipment being installed in the room and calculations generated will help you to determine if your room or enclosure has the capacity to enable the gaseous agent to work correctly. If you’re looking for more information on your existing gaseous fire suppression system or planning to install a new system, Wormald can provide advice on how best to meet your needs. Wormald also has suitably licensed personnel that can not only service and maintain your gaseous system, but also ensure it is done in a compliant manner. This entry was posted in Fire systems by wormaldblog. Bookmark the permalink.